I always intended to add more stitching to the dress in a slightly folkloristic style but couldn't make up my mind about a design. So now I just add things and hope for the best! I'm keeping the palette limited to green, white and red (perhaps pink too?). 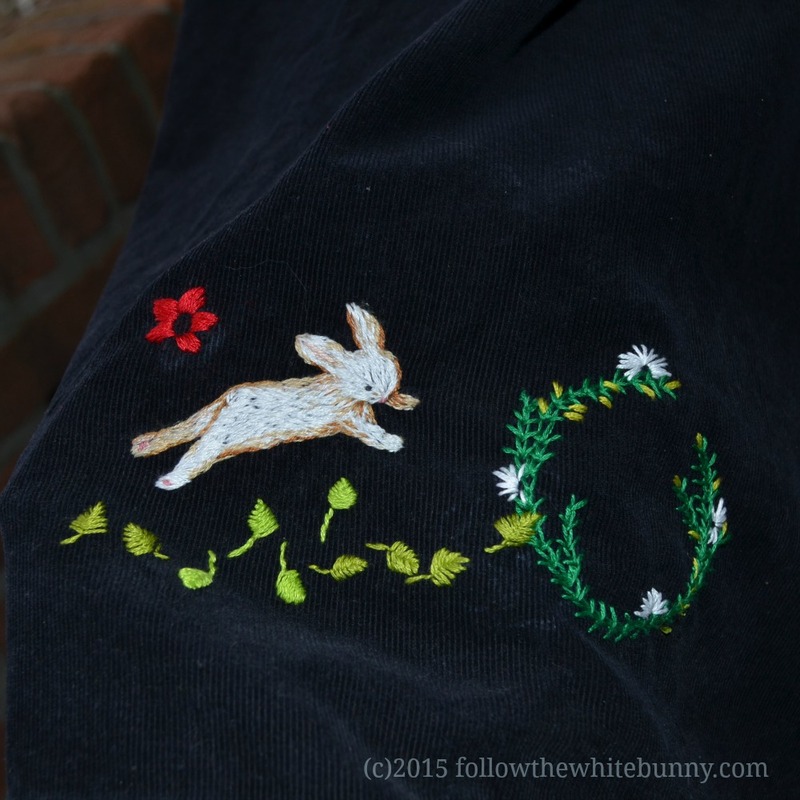 First I added a few green leaves and yesterday I embroidered the rabbit-hole and the beginning of a flower. That is very lovely. If I had something that great I'd wear it out. Darling, wonderful, happy and inspiring! Seriously, I so enjoy your works. I've purchased one or two of your designs and I'm going to use them on my new grand daughter's Christmas stocking.